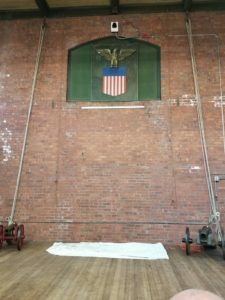 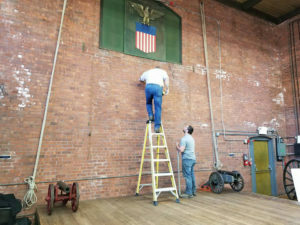 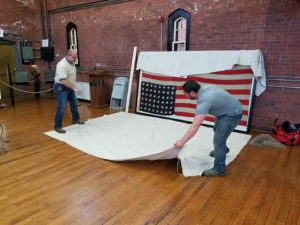 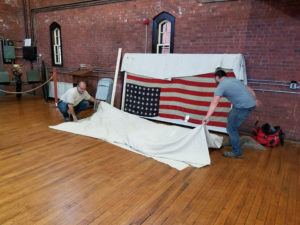 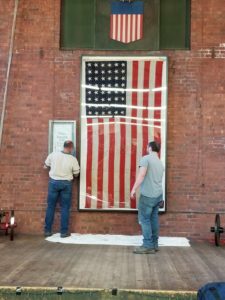 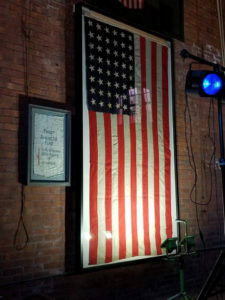 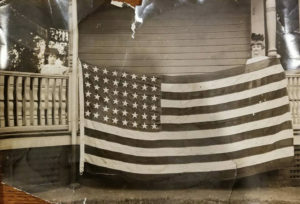 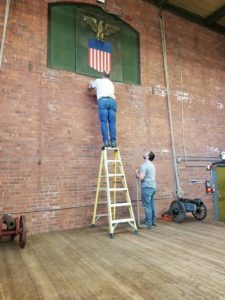 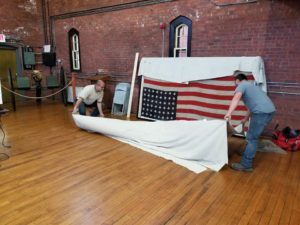 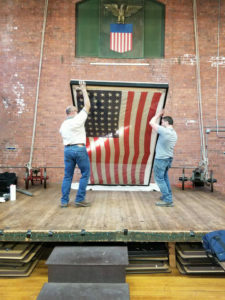 The Varnum Memorial Armory Museum now has on display the first US flag to cross into Germany after the signing of the Armistice concluding World War I. 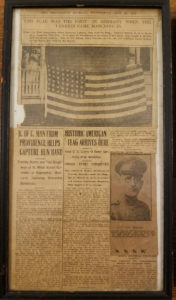 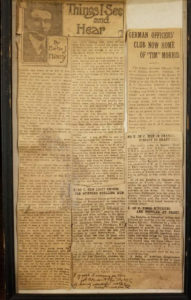 This July 1919 Providence Journal newspaper article details the great story behind the first US flag to cross into Germany (now on display at the Varnum Memorial Armory). 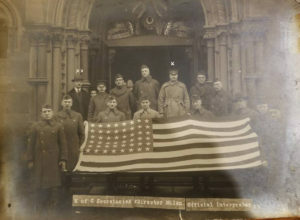 Tim Morris of Providence, RI, was an American hero who served in World War I as a Knights of Columbus (K of C) secretary. 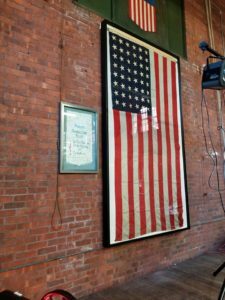 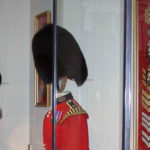 Unarmed, he served as a volunteer right on the front lines often under heavy fire while providing much needed aid and comfort to the troops. 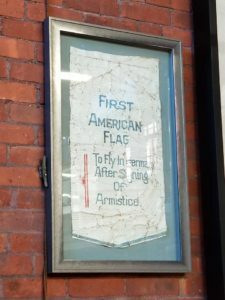 He was issued this flag by the K of C and later brought it to the vanguard of General Jack Pershings’ 3rd Army as they were about to cross the border into Germany at Coblenz. 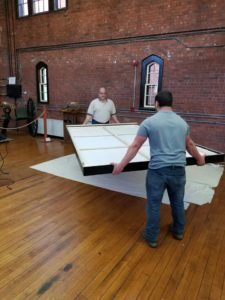 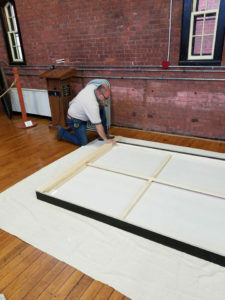 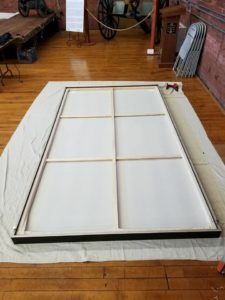 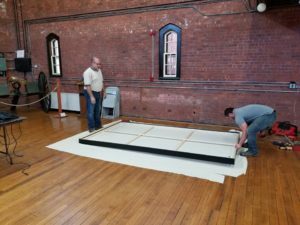 Thank you to Thomas E. Gardiner and his family for putting it in our museum and thank you, Aaron Davis, for the generous donation to cover most of the conservation and mounting work. 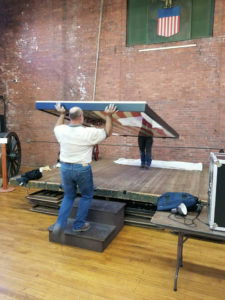 The mounting of the flag to the drill hall wall was a feat all by itself. 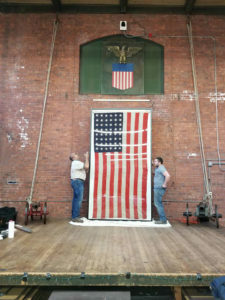 We also thank the contractor, Andy Santilli, for creating a secure mount for this historic treasure.